From the 1990s through the Great Recession, the American labor market was a strong predictor of unauthorized immigration — when U.S. unemployment went up, the number of people apprehended for crossing the border went down. Since 2009, other forces have taken over as the main drivers of unauthorized immigration. 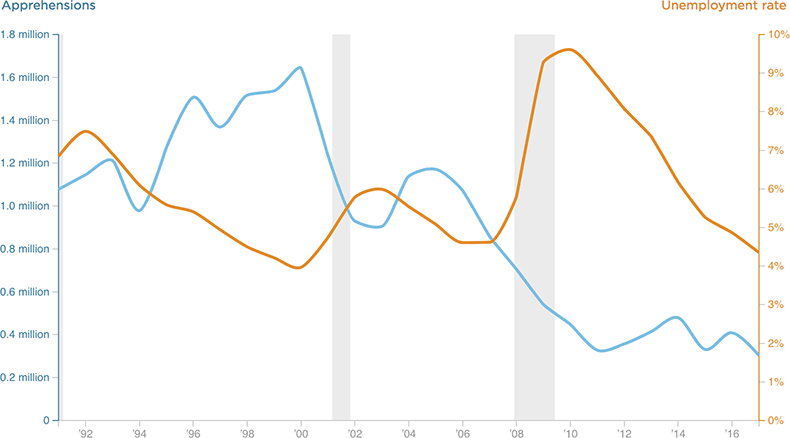 Below, recession years are shaded in gray.